Budapest sightseeing tours are the classic Budapest tours by bus, on foot (walking tours), on the river (Budapest cruises), by bike or on Segway. See more Budapest tours here: tasting and market tours, cultural tours, historical tours, adventure tours. Each means of transport for sightseeing in Budapest has its own strengths and weaknesses so we warmly recommend mixing them at your convenience. 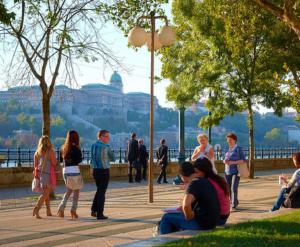 One thing is sure though: you will, in all probability, walk a lot in Budapest whether in an official walking tour or just to marvel at the city sights, stroll on the Danube Promenade, or take a leisurely walk on the cobblestones of the Buda Castle. Best tip from locals and tourists: bring a pair of really comfortable shoes to make your walks enjoyable. Bus Tours in Budapest: you can take the standard Budapest hop on hop off bus tours or try the amphibian bus, which goes into the river too (but alas, not on the Buda side). Other bus tours that have been rated well are proper city sight tours in Budapest, some of them go beyond the city, to take a tour in the Danube Bend. More Budapest sightseeing tours here. River Cruises in Budapest: many tourists ask if it is worth going on a river cruise (there are all sorts of them, cheaper, more expensive, cruises with dinner, no dinner, with champagne, with a live concert, covered, open air, etc. – but usually all guided). It depends. 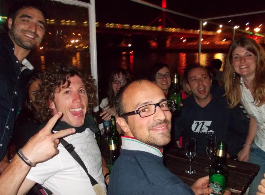 Those who did the river cruise were usually not disappointed, whether it was a simple river cruise with no special extras or a full romantic and musical floating on the river. What we suggest if you are hesitant: do not book online, but do walk down to the beautiful river bank, wonderfully lit after sunset – unforgettable. Look around: there will be several cruising ships, so you can decide on the spot if you are in the mood for a cruise or not. If you are on a budget, take tram number 2, which is running along the river Danube, just like the cruises – no guides, but all the sights (or you can take the Danube ferry, if it is currently in use). Special river cruises on the other hand are definitely to be pre-purchased, as they get fully booked: Budapest Christmas River Cruises, New Year Budapest Cruises, or the Fireworks Cruises in Budapest on August 20 are very popular. More Budapest sightseeing tours here. 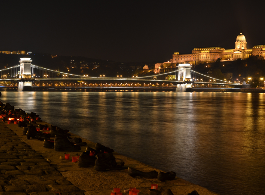 Walking Tours: Budapest is inviting you for lots of walking (you will see). You can participate in free walking tours (donation based) or standard fee-paying guided tours. Alternatively, you can be your own guide and use some of our recommended Budapest itineraries (e.g. 3 days in Budapest). 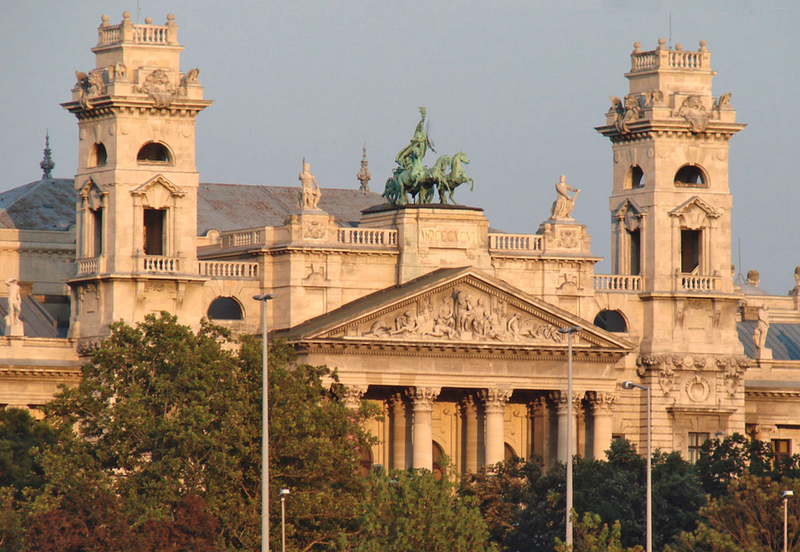 More Budapest sightseeing tours here. From spring to autumn, and all through the summer months Budapest is a nice place to take a bike tour in. The best bike tours in the city will take you through the top Budapest attractions with a professional bike guide. Learn more about the Bike Tours Budapest options here. Discover the exciting views and attractions of Budapest on a Segway. You will be able to see and visit more things in much less time than on a walking tour. For more information and booking, please visit Budapest Segway Tour. 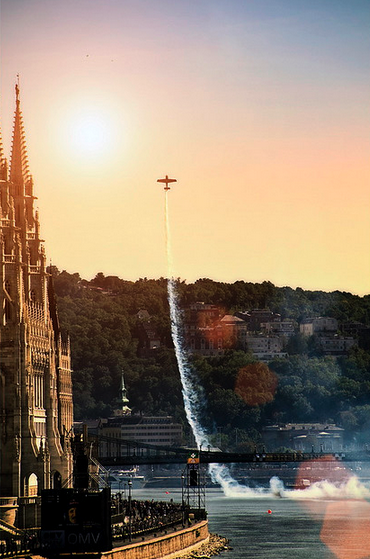 Helicopter Tours Budapest: extraordinary sightseeing tours by hovering over Budapest, Hungary. We wish we could do it once in a while! So if you can, treat yourself.